Volunteer with children in Kenya and experience a different way of life while supporting disadvantaged children at a local care centre. You’ll focus on early childhood development, and raising literacy levels. Use this opportunity to gain childcare experience while giving back at the same time. Both could help your future career. You’ll become part of our ongoing efforts to support the work of local teachers and caregivers in Kenya. You’ll do this by teaching English, and making sure each child has the skills and basic knowledge they need to thrive at school. You can also help improve quality of life for children at special needs centres. You’ll live and work in Nanyuki and stay with a local host family. Make the most of your trip and sample the local food, learn about the traditions, and explore the African savannah! Is volunteering with children in Kenya right for me? Childcare volunteering in Kenya is ideal for you if you enjoy working with children, and want to support early childhood education in disadvantaged areas. This is also a great way to add practical experience to your CV, all while giving back to those who need your help most. It will help you stand out in applications and interviews if you’re pursuing a career in childcare or early childhood development. You don’t need previous experience to join. You’ll support the work of local teachers and caregivers, and you’ll receive a thorough introduction when you start. We’ll teach you everything you need to know. We also run regular workshops where you can exchange ideas and discuss challenges. In addition, you can reach out to Projects Abroad staff for guidance at any time. This project runs all year round, and you can join at any time for a minimum period of two weeks. We do recommend that you stay longer so that you can make a bigger impact. Please be aware that some placements close for long periods over Christmas and other national holidays. Chat to us directly about when the best time would be for you to come to Kenya. You will work with small groups of children to give them focused attention and improve their levels of stimulation. Most of the centres we work with have limited resources, so you will need to get creative and come up with practical solutions where you can. You can make a lot of the educational resources that you need, such as flashcards and posters. Projects Abroad provides materials for this at the office. This is important work, as teachers and future volunteers can continue to use them long after you’ve left. There is also a need for new creative and educational games and activities for the children, so you can brainstorm new ideas for you and the local staff to implement. Open communication is very important in this project in terms of activity creation and skill sharing. We encourage you to share your ideas and bounce concepts off other volunteers and staff members throughout your stay. You will learn from the local staff, and they can also learn from you. It is important that you share any ideas or advice that you may have for teachers and carers from your experiences in your home country. Due to past volunteers sharing their ideas, some of the teachers have been able to improve their skills and caregivers have learnt more effective ways of dealing with children. Practicing good hygiene everyday is vital for keeping yourself healthy. Part of your role will involve encouraging the children to practice good hygiene everyday. This could be something like making sure each child washes their hands before a meal, and brushes their teeth properly at least once. English is one of Kenya’s official languages. Speaking it can greatly increase a person’s employment opportunities. During your stay, you will teach the children new words and teach them songs to help with their pronounciation. Your main focus will be on encouraging them to speak so that they gain confidence. You can also use this opportunity to teach local caregivers and teachers if they’re interested in learning from you. Where in Kenya will I be working? 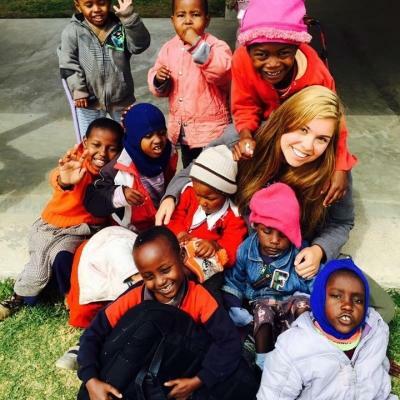 You’ll work at a daycare centre, primary school, or special needs school in Nanyuki. Many of these placements are overcrowded, and the ratio of children to teachers and caregivers is too high. The work you do here is important, as you give local staff the support they need, and help give the children a safe space to learn and grow. Located in the centre of Kenya just north of the equator, the market town of Nanyuki sits at the foot of epic Mount Kenya. 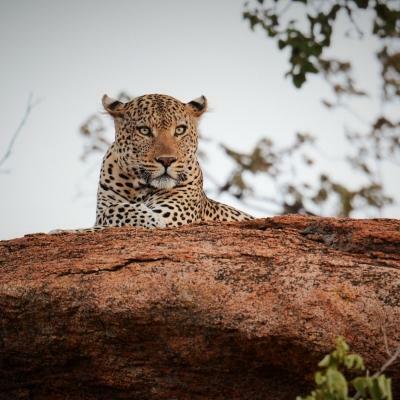 Renowned for the plethora of national parks and wildlife conservancies nearby, you will have plenty of weekend safari options to choose from during your stay. When you arrive at your respective airport, a member of Projects Abroad staff will be there to meet you. You can find more detailed information on arrival airports, orientation, and visas on our Kenya Arrival Procedures page. A typical day will begin with you enjoying breakfast with your host family before you head off to your placement to begin work at around 9am. You’ll travel to your placement using public transport, or walking if it’s close enough. On your first day, Projects Abroad staff will accompany you to show you the way. No one day will be the same when you work with children in Kenya! You might spend one day focusing on activities to teach the alphabet, or counting from 1 to 10. On another day, you could get creative and do arts and crafts with the children. We also set aside community days, where you’ll work away from your regular placement and help with all kinds of different tasks in the community. After your work day ends between 3pm and 4pm, you will be free to explore Nanyuki and relax until dinner time. You will then go back home for an evening meal with your host family. Spend your free time exploring with your fellow volunteers and taking in your beautiful surroundings that are rich with wildlife. The aim of this project is to support early childhood development and raise the literacy levels of disadvantaged children living in Nanyuki. 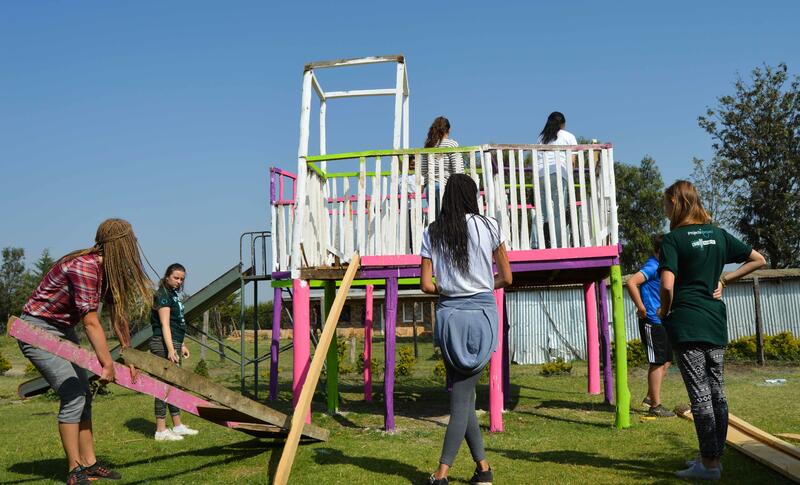 Projects Abroad has elected not to work with children in orphanages in Kenya, but rather focus on community-based programmes that allow children to remain within their families. Help us work towards these sustainable goals by doing volunteer work with children in Kenya. Some activities I’d help with in the classroom included tutoring the children, grading papers for the teacher, or designing art projects for students during downtime. Activities I helped with in the occupational therapy room included helping the children walk between activities and participating in play activities with the children. You'll stay with a host family in Nanyuki. They will welcome you into their home, eager to share their customs and have you teach them about your own culture. We believe that this is the best way to immerse yourself in the culture of Kenya and have a truly unique experience. 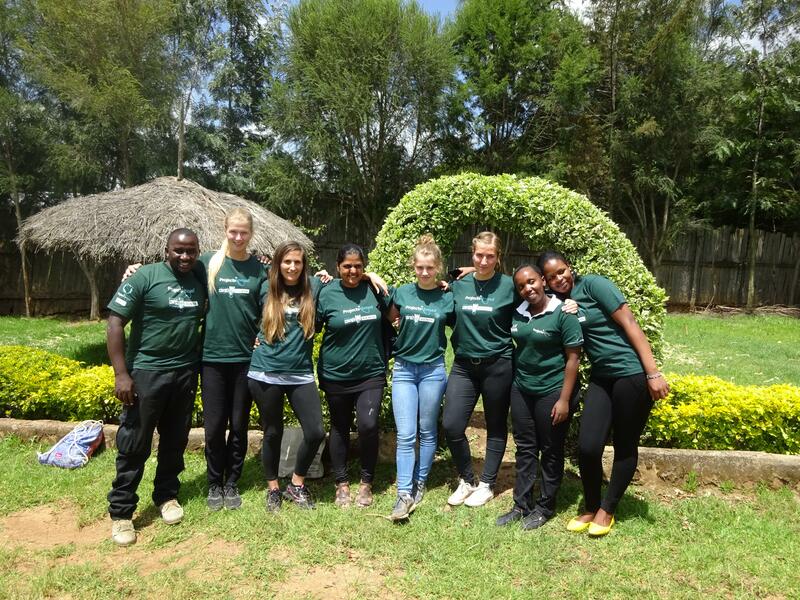 Volunteering in Kenya is the perfect opportunity to explore this extraordinary country. With such a vast array of different activities, you’re sure to find plenty of ways to fill your evenings and weekends. A trip to East Africa wouldn’t be complete without a safari. 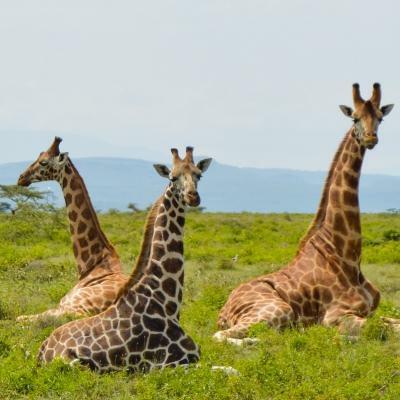 You can see wildlife like elephants, lions, and even the endangered Rothschild’s giraffe, as you explore the savannahs. Our projects are based in Nanyuki, which is known as the gateway to Mount Kenya. With this majestic mountain on your doorstep, it’s worth taking a day to hike around the base. You can spend evenings at buzzing restaurants, listening to live music and trying some of the local dishes. Kenya also has must-see markets, with bright textiles and hand carved sculptures. You can spend your free time exploring independently or travel with a group. With so many volunteers joining us throughout the year, you’re sure to make some new friends and travel buddies during your trip. Carol joined Projects Abroad in May 2013 as the Medical Coordinator for Kenya. 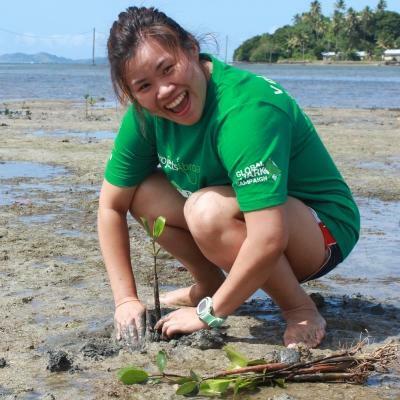 She studied medical laboratory science and in her free time she enjoys dancing, travelling and making new friends. 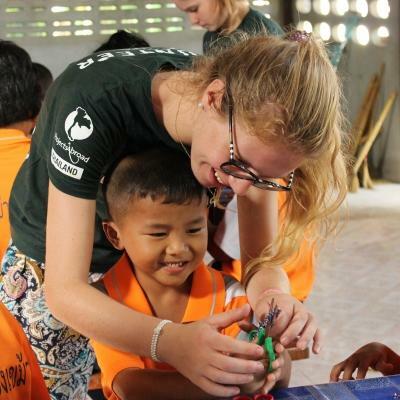 Peter joined Projects Abroad as Volunteer & Sports Project Coordinator in August 2014. He was born and raised in Nairobi and will be one of the first staff members volunteers will meet when arriving in Kenya. Peter enjoys travelling, listening to music, watching football and meeting new people. Dennis joined Projects Abroad in March 2015. He is responsible for overseeing the Care and Teaching projects in Nanyuki, Kenya. Dennis is an outdoor person and loves seeing new things! His hobbies include playing soccer, badminton and table tennis. He also loves reading and travelling, especially on safari! Tonny joined Projects Abroad in June 2012. He has a Bachelor of Science degree in Wildlife Ecology and Conservation and is currently pursuing his Masters in Conservation Biology. He started his career in conservation and wildlife research ten years ago and worked and volunteered with Kenya Wildlife Service Research Department in the Masai Mara. When he is not immersed in his work, he enjoys meeting new people. Charles joined Projects Abroad in May 2014, bringing in vast knowledge and over 15 years of experience in conservation. He has previously worked with international organisations including the World Wide Fund for Nature. In his free time he loves listening to music and bird watching.